Remember it costs nothing to be polite, a simple 'Please' or 'Thank You' will go a long way and may just tip replies in your favour. 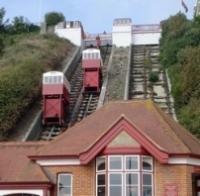 Have fun and enjoy your experience Freegling with us in East Kent and Folkestone in particular. Looking for greenhouse potting table/bench or suitable staging for kids greenhouse project. 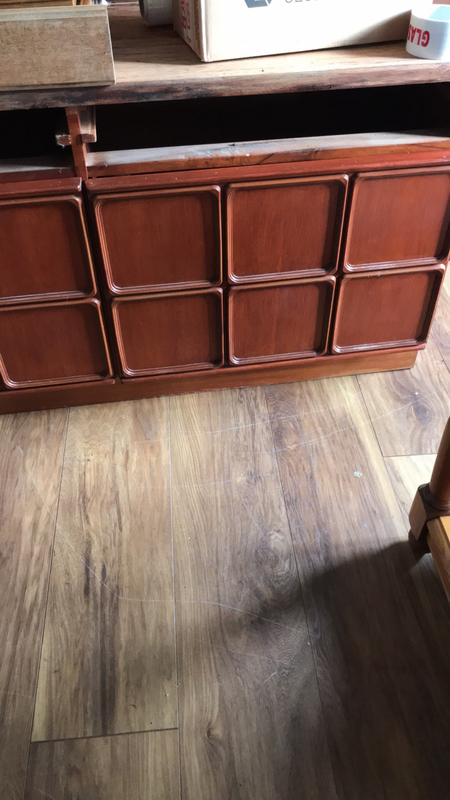 Even a suitable old wooden table or sideboard of suitable height 4ft approx. Hi, I'm looking for ride on toys such as scuttle bug if anyone has one their little one has outgrown Thanks Remember to check your spam/junk folder and the Freegle Online Chat for replies - please don't just assume all of them will come to your inbox. Have you tried our Mobile App - search for Freegle in your App Store. 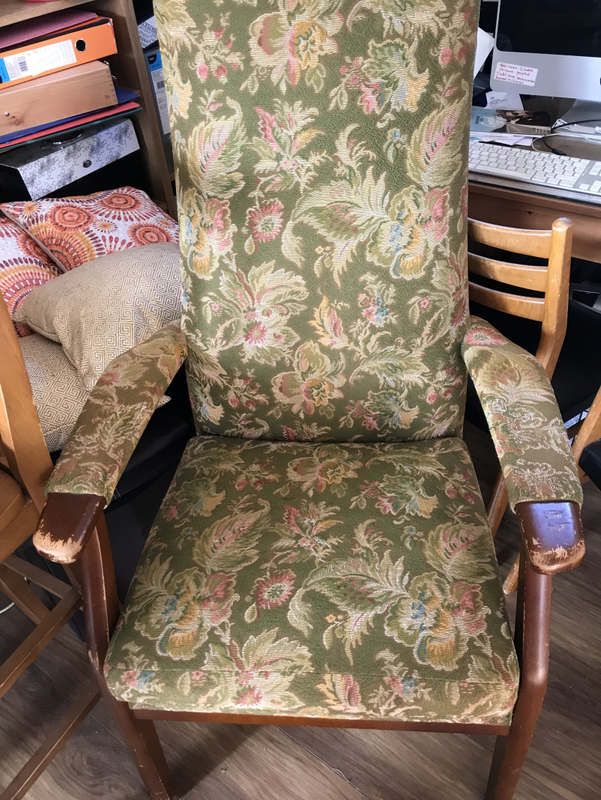 Parker knoll armchair in reasonable condition for Upcycle project. 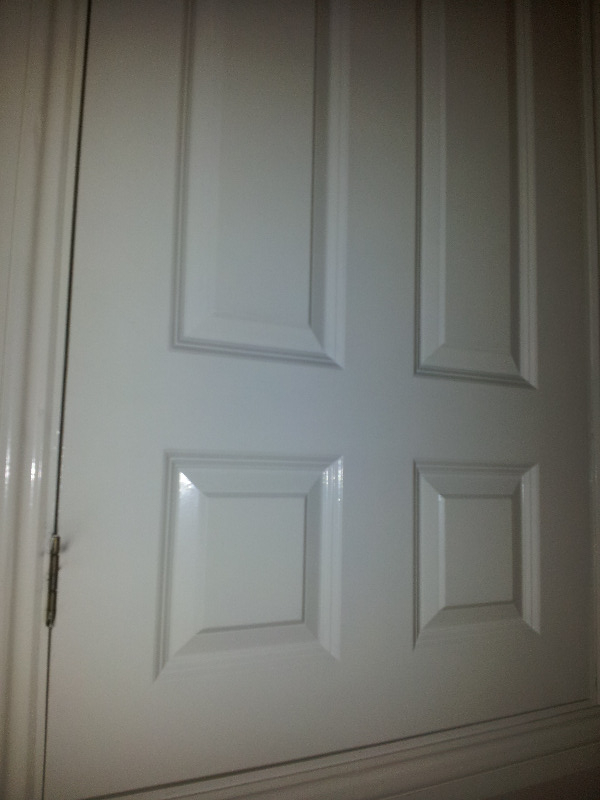 Arms require sanding and restrain as per photos and upholstery pulled in places. Nice sturdy chair but needs a little work. Shame to dump but if not taken by next weekend it will be dumped due to space. 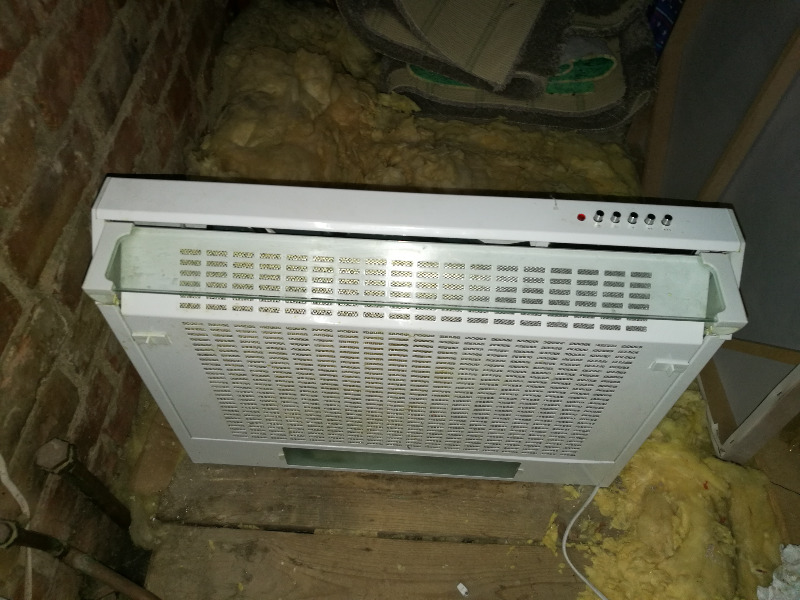 hi, looking for an undercounter fridge please to replace broken one. Can pick up reasonable distance from Dover. TIA. Off cuts of decking boards required. I need a few off-cuts of decking boards to be able to complete the raised bed I am making for my strawberry plants to grow in. Please let us know if you have any to offer. Thanks. Remember to check your spam/junk folder and the Freegle Online Chat for replies - please don't just assume all of them will come to your inbox. Have you tried our Mobile App - search for Freegle in your App Store. 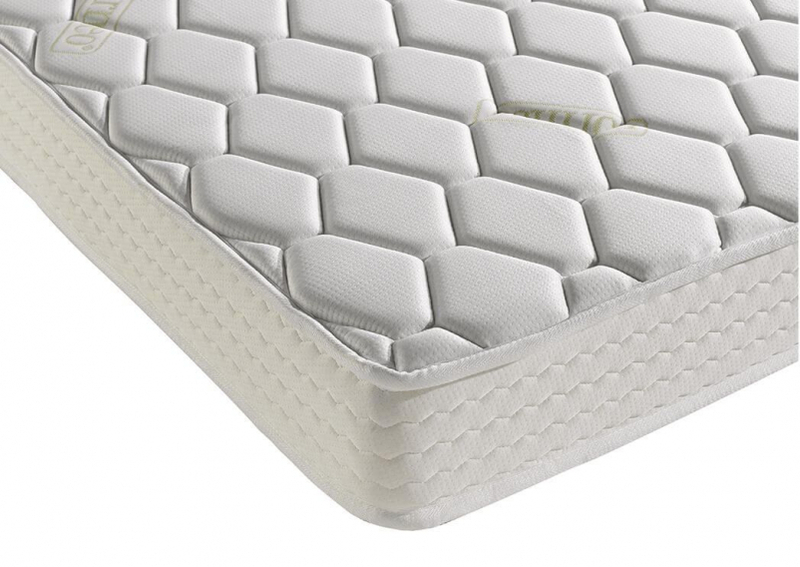 Dorma aloe vera memory foam mattress king size 150cm x 200cm. Not very old-used for about 6 weeks. Given to me by family but I don't get on with it. It has a few threads pulled where my cat has tried to climb it in storage and a slight grubby mark where it was transported by car-I tried to remove this and it rubbed the fabric slightly. This won't be noticeable with a sheet on. I understand that it is good quality and expensive - I would like someone else in need to have it. Delivery may be a possibility depending on location. 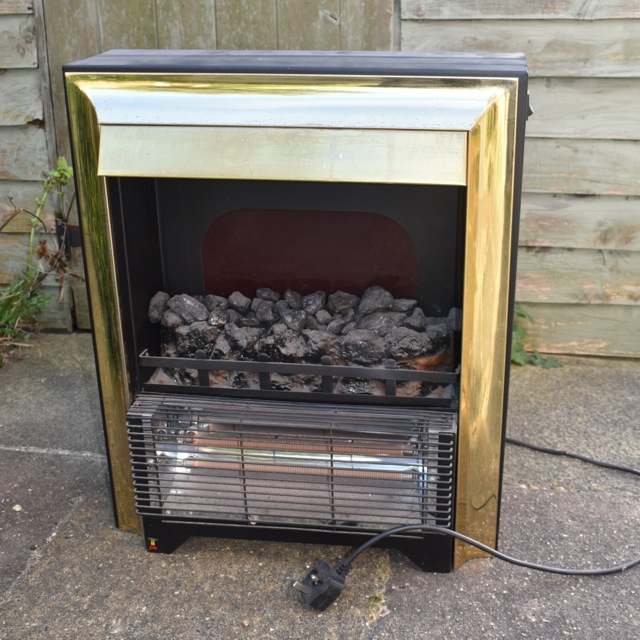 Two-bar electric fire with brass-coloured surround and imitation coal. Plugs into wall socket. In working order, including glowing light. 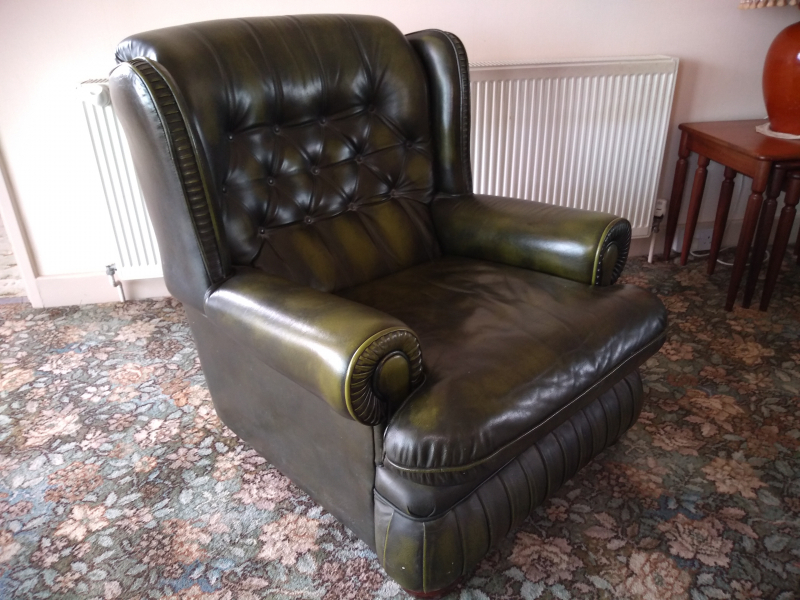 I’d like an old wing back chair that I can fall asleep in whilst watching tv without getting a stiff neck. Any condition considered please. Remember to check your spam/junk folder and the Freegle Online Chat for replies - please don't just assume all of them will come to your inbox. Have you tried our Mobile App - search for Freegle in your App Store. We have some unused transparent plinth sealing strip (18mm/19mm) 4 lengths so of 3 metres each piece. We didn't use this under our kitchen units so brand new. If you would like all of this, collection only from CT18 please. Would you please let me have a contact number and when you would like to collect. With kind regards Joy Remember to check your spam/junk folder and the Freegle Online Chat for replies - please don't just assume all of them will come to your inbox. Have you tried our Mobile App - search for Freegle in your App Store. Stackable Storage Crates, quantity 7, each crate measuring (approx) 23 ins x 16 ins x 8 ins. Approx. 50 hangers, half of them are the type with a peg at each end. Remember to check your spam/junk folder and the Freegle Online Chat for replies - please don't just assume all of them will come to your inbox. Have you tried our Mobile App - search for Freegle in your App Store. Wooden fence posts x2. need to replace 2 posts size 240 length, by 100mlx100ml, as the gales have broken off 2 of my posts, anyone got any spare ones, please let us know, thanks. 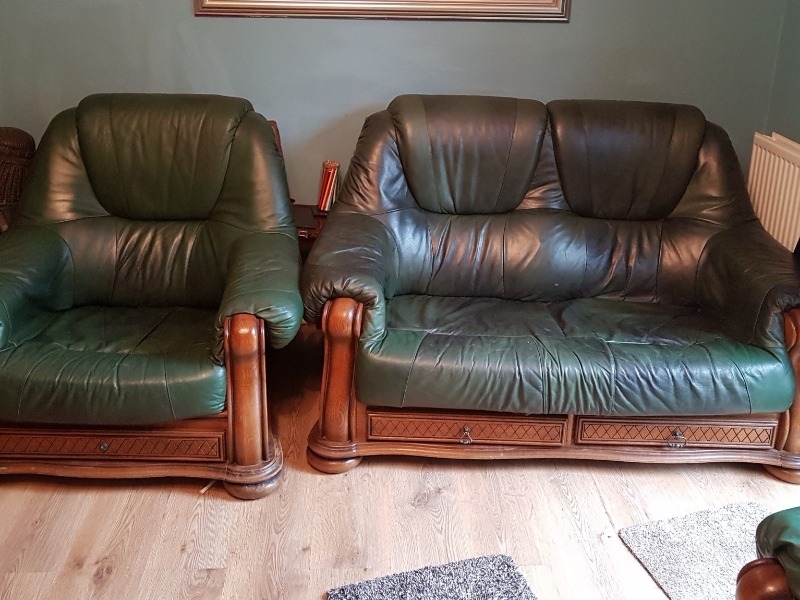 Green, leather 3 piece suite. Settee 50'' wide x 36'' deep x 35'' tall (back). Chairs 32'' wide x 36'' deep x 35'' tall. In good condition but no 'fire' labels. Sorry, cannot upload photos - please contact and I will message/email. (Photos now available!) Remember to check your spam/junk folder and the Freegle Online Chat for replies - please don't just assume all of them will come to your inbox. Have you tried our Mobile App - search for Freegle in your App Store. 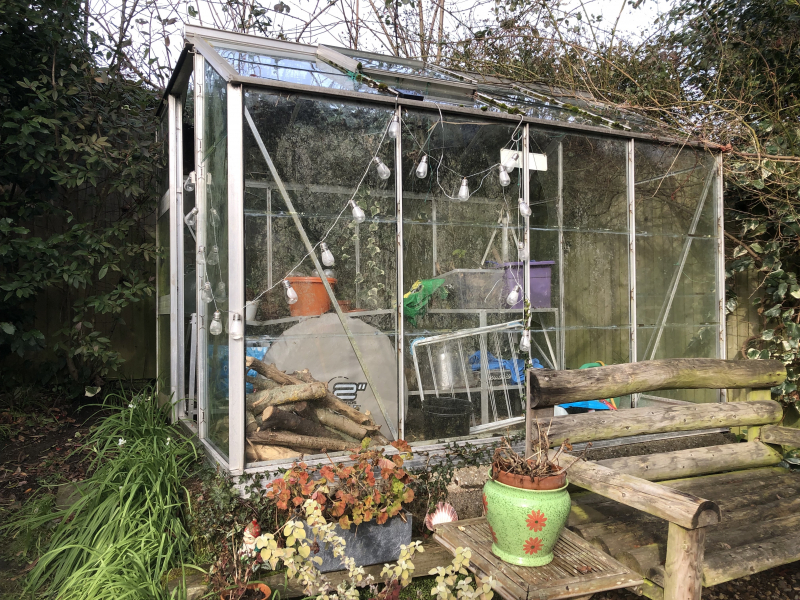 This is a large, roomy greenhouse in need of lots of TLC, still installed in my garden. Aluminium frame, 6' x 8', skylight, several smashed panes & rubber seals gone. Rear door missing. 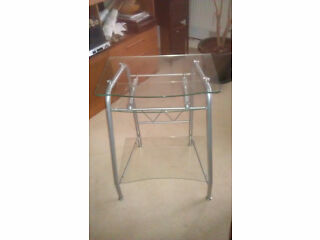 Fitted aluminium side tables. 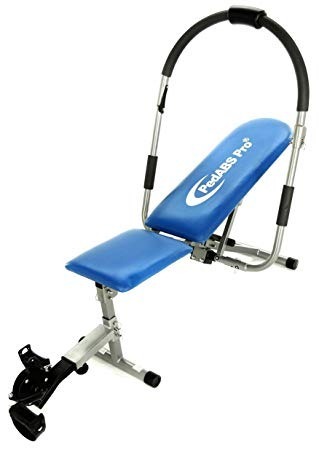 Sits on concrete base. Handy man or keen D.I.Yer will be able to restore it to a really beautiful and very useful greenhouse. 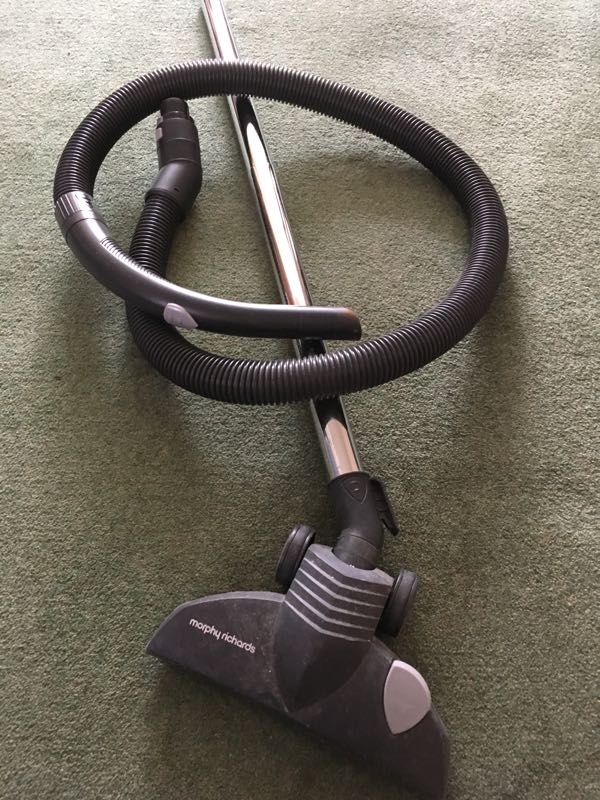 Completely free to recipient ........but you will have to dismantle it and take it away ....and need the kit to do the job such as industrial quality gloves. Remember to check your spam/junk folder and the Freegle Online Chat for replies - please don't just assume all of them will come to your inbox. Have you tried our Mobile App - search for Freegle in your App Store. Polystyrene insulation boxes (2) approx 1 cu ft each. Includes ice packs. Cardboard boxes for packing. 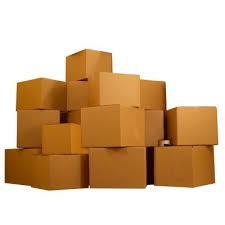 We have some cardboard boxes available in a variety of sizes. 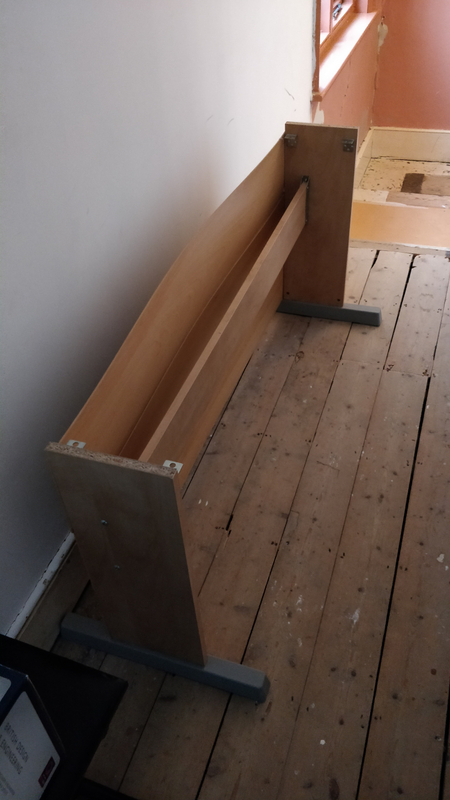 FREE for collection. ASAP. Remember to check your spam/junk folder and the Freegle Online Chat for replies - please don't just assume all of them will come to your inbox. Have you tried our Mobile App - search for Freegle in your App Store. Computer Desk Steel framed, glass shelves. 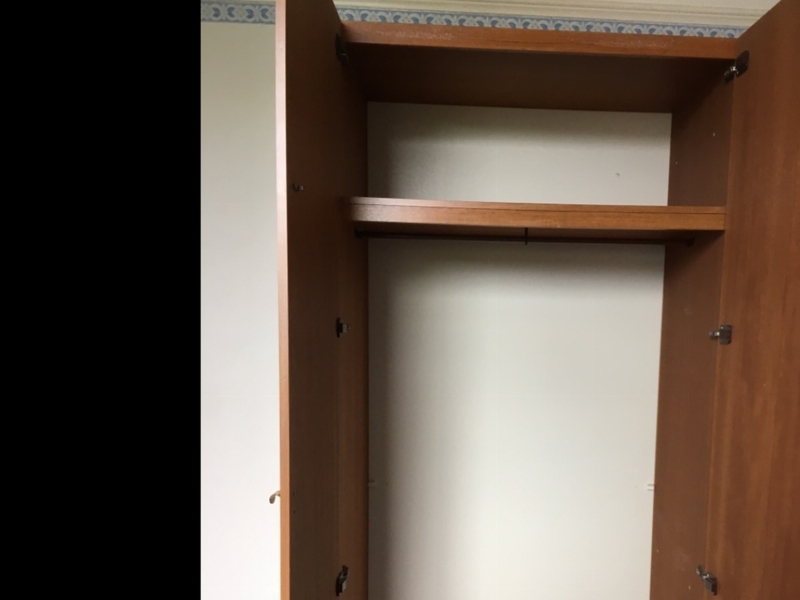 One shelf slide out for keyboard Remember to check your spam/junk folder and the Freegle Online Chat for replies - please don't just assume all of them will come to your inbox. Have you tried our Mobile App - search for Freegle in your App Store. Blue, double. Has fire certificate. Blue, double. Has fire certificate. Remember to check your spam/junk folder and the Freegle Online Chat for replies - please don't just assume all of them will come to your inbox. Have you tried our Mobile App - search for Freegle in your App Store. 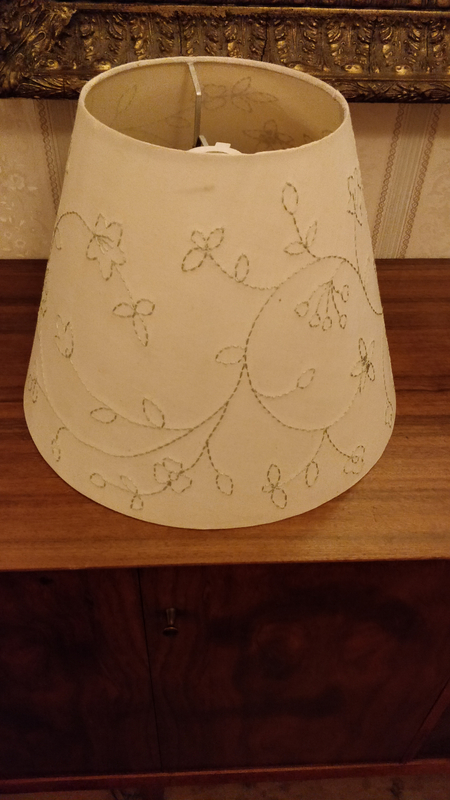 Cream lampshade with cream stitched floral motif. Good condition. 28cm high by 37 cm wide at the bottom. Narrower top is 19.5 cm wide. Old used VHS tapes if anyone has a use for them before they go to the dump. Remember to check your spam/junk folder and the Freegle Online Chat for replies - please don't just assume all of them will come to your inbox. 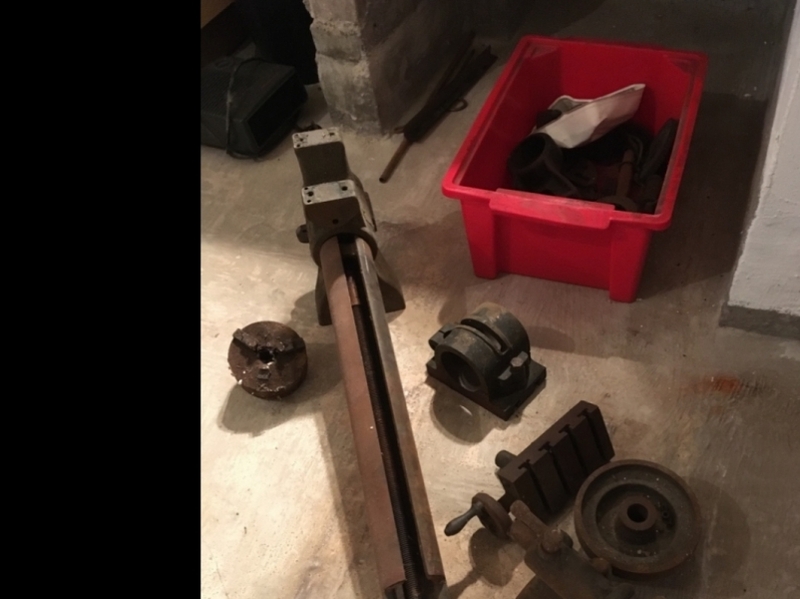 Have you tried our Mobile App - search for Freegle in your App Store.I’m trying to make a model of a destroyed tank and I’m looking for a smoke machine to add some real smoke. I hope to display the model at a model fair later on next year, so I would be so very grateful to anyone who can help. Thank you. Carpet Off-Cuts New. 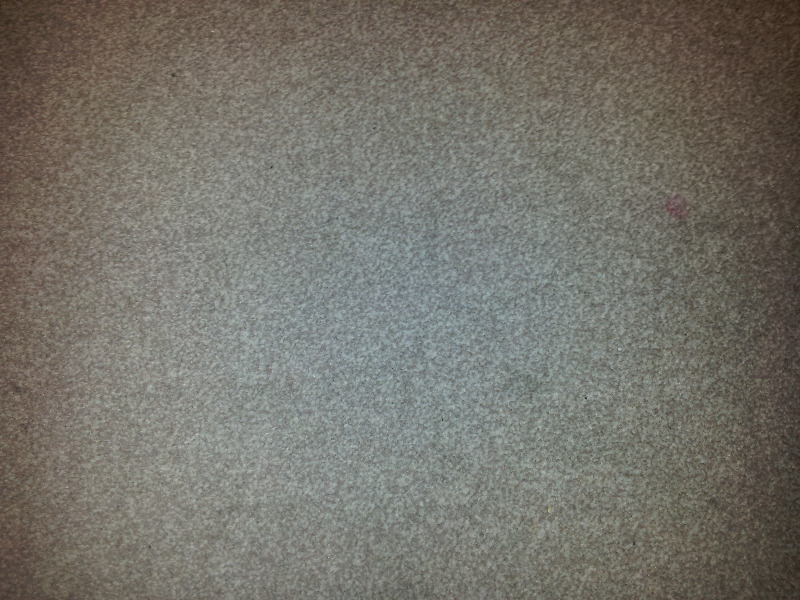 New Carpet piece 4ft.6in x 3ft.6in Approx plus runner etc, suitable for small area utility animal area etc ,etc. 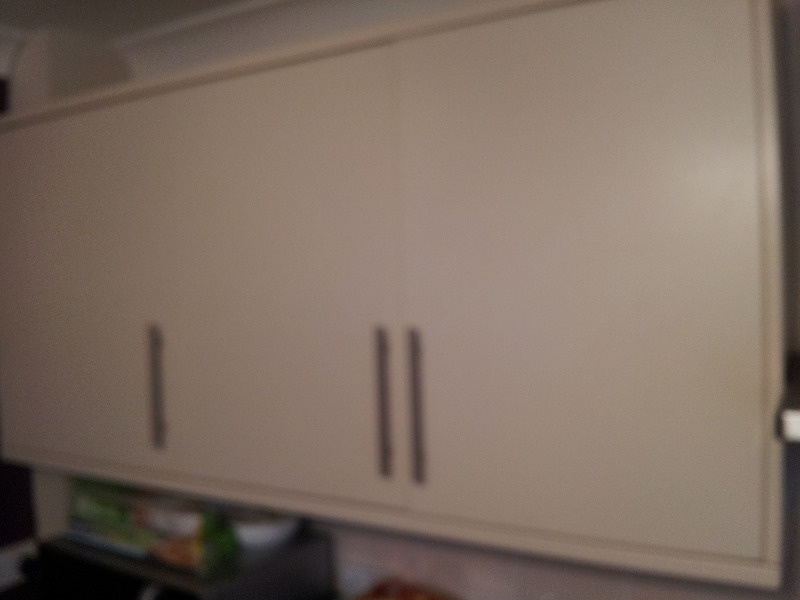 Oatmeal/beige colour, available to collect ASAP from Folkestone area. Must collect, bring own bags for a smaller amount of sand. Free, must go soon. Contact for details. Several biscuit & sweet tins, empty. 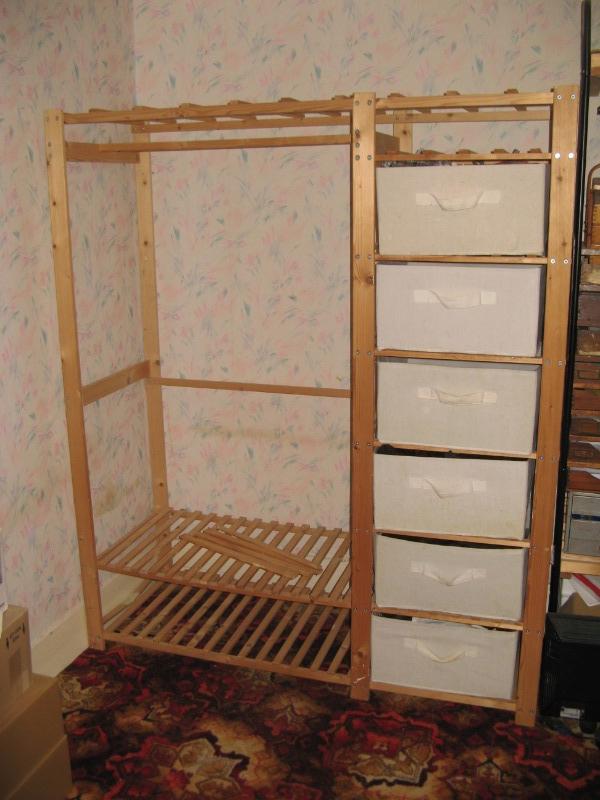 Lots of uses for storage etc, etc. Many shapes & sizes FREE for collection ASAP. These need to be collected promptly, please. Remember to check your spam/junk folder and the Freegle Online Chat for replies - please don't just assume all of them will come to your inbox. Have you tried our Mobile App - search for Freegle in your App Store. 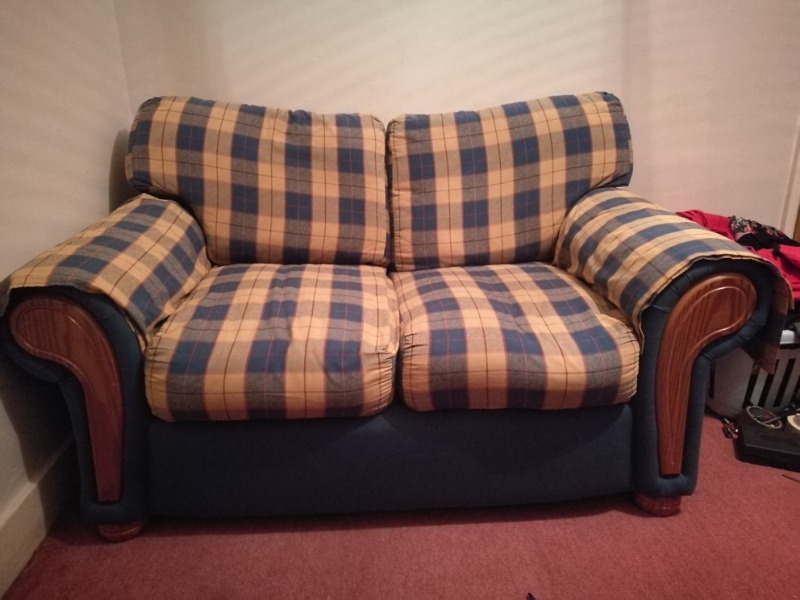 The Moderators have removed either a phone number or email address from this message as we do not allow these on messages to the whole groupDouble sofa bed, blue and fire certificate. Remember to check your spam/junk folder and the Freegle Online Chat for replies - please don't just assume all of them will come to your inbox. Have you tried our Mobile App - search for Freegle in your App Store. 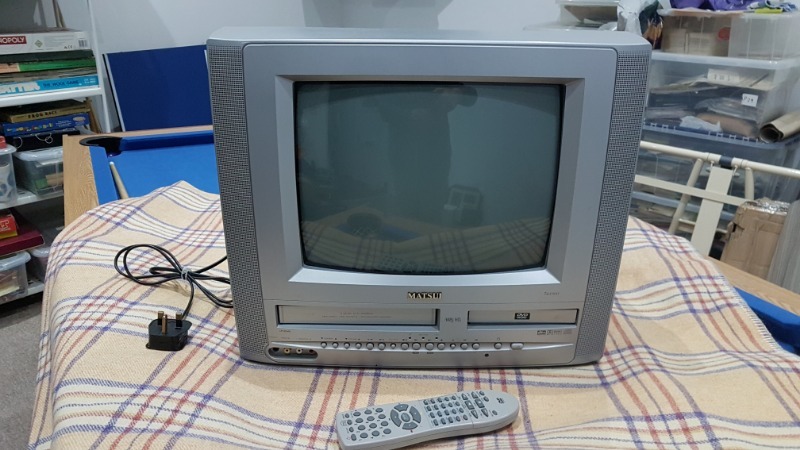 Hitachi 19" Television. with remote control & instruction manual. Slim type,(suddenly stopped working) for repair/spares/project! 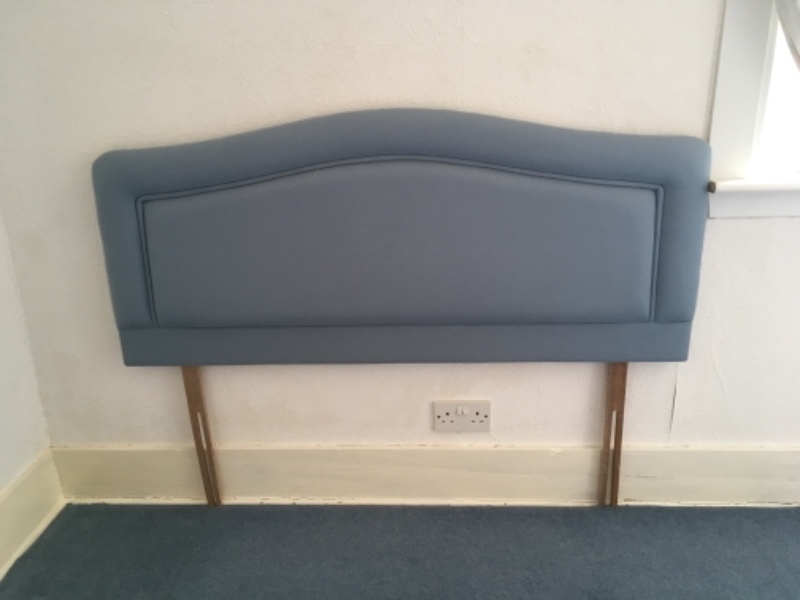 Free to collect from Folkestone area. Remember to check your spam/junk folder and the Freegle Online Chat for replies - please don't just assume all of them will come to your inbox. Have you tried our Mobile App - search for Freegle in your App Store. Fitted our Yamaha dgx 620, but apparently fits other Yamaha models as well. In perfect condition, might be handy for someone. Remember to check your spam/junk folder and the Freegle Online Chat for replies - please don't just assume all of them will come to your inbox. Have you tried our Mobile App - search for Freegle in your App Store. TV Unit /Stand.TV unit /stand. silver with glass shelf for dvd/video player etc. FREE to collect ASAP. 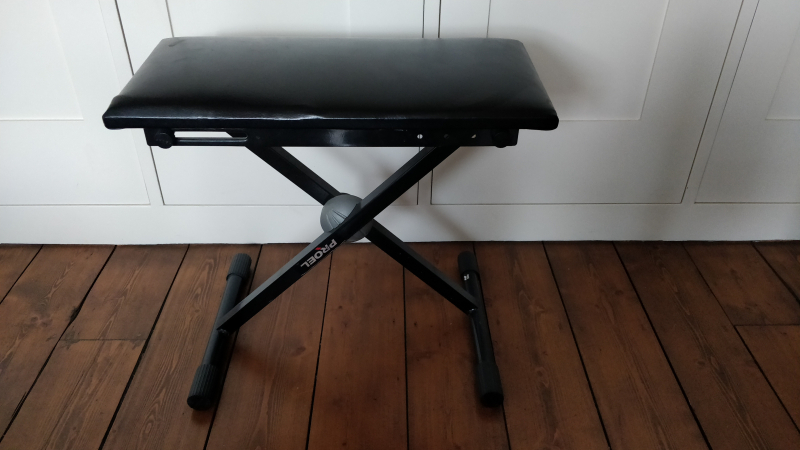 Proel Piano stool with black vinyl padded seat. Great condition. Emulsion Paint. Few cans Paint, some kitchen & bathroom, Some unused,! Assorted colours available FREE for collection from Folkestone area. Remember to check your spam/junk folder and the Freegle Online Chat for replies - please don't just assume all of them will come to your inbox. Have you tried our Mobile App - search for Freegle in your App Store. Glass Panes For Shed. 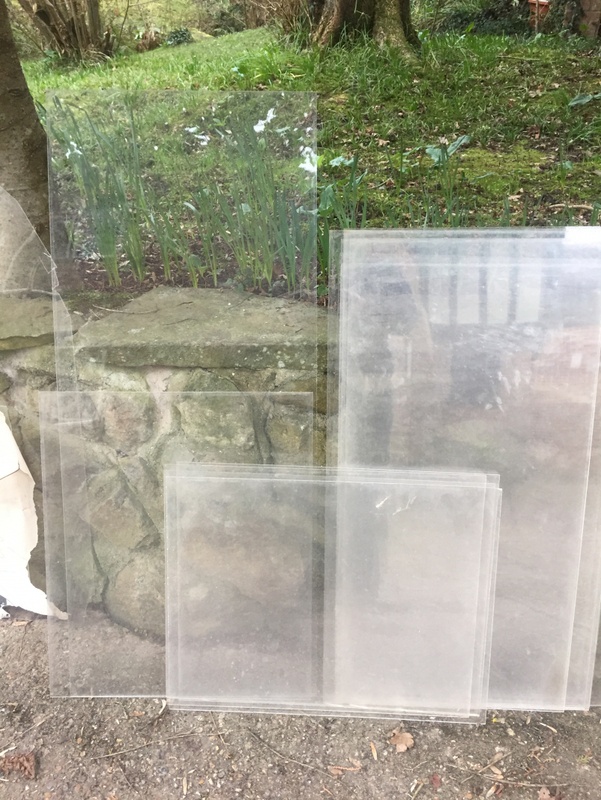 Few glass panes for garden shed or make a cold frame for your plants etc, Free for collection from Folkestone area. Remember to check your spam/junk folder and the Freegle Online Chat for replies - please don't just assume all of them will come to your inbox. Have you tried our Mobile App - search for Freegle in your App Store. Garden Chairs (3) general white plastic chairs, used but still useful for the allotment /garden etc. 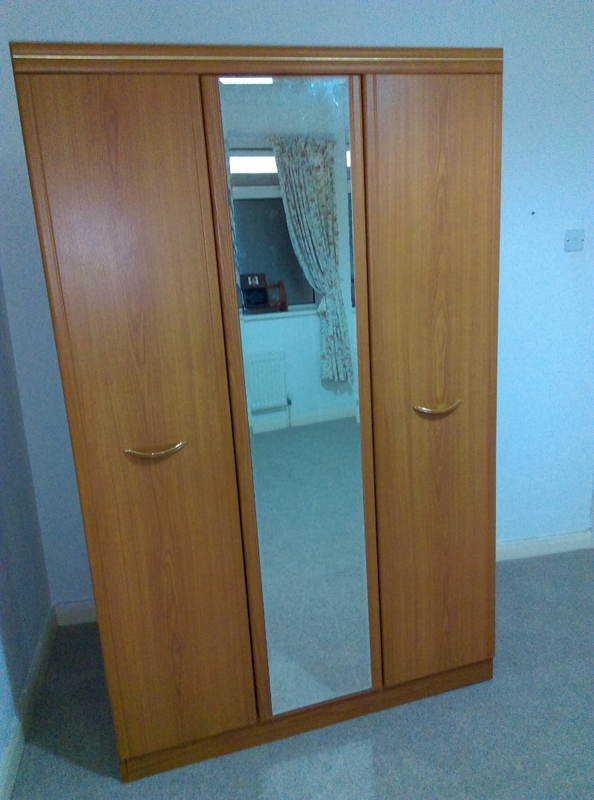 Free to collect from Folkestone area. Remember to check your spam/junk folder and the Freegle Online Chat for replies - please don't just assume all of them will come to your inbox. Have you tried our Mobile App - search for Freegle in your App Store. Guttering. guttering for shed, outhouse etc, useful to plant seeds or plants in allotment/garden. 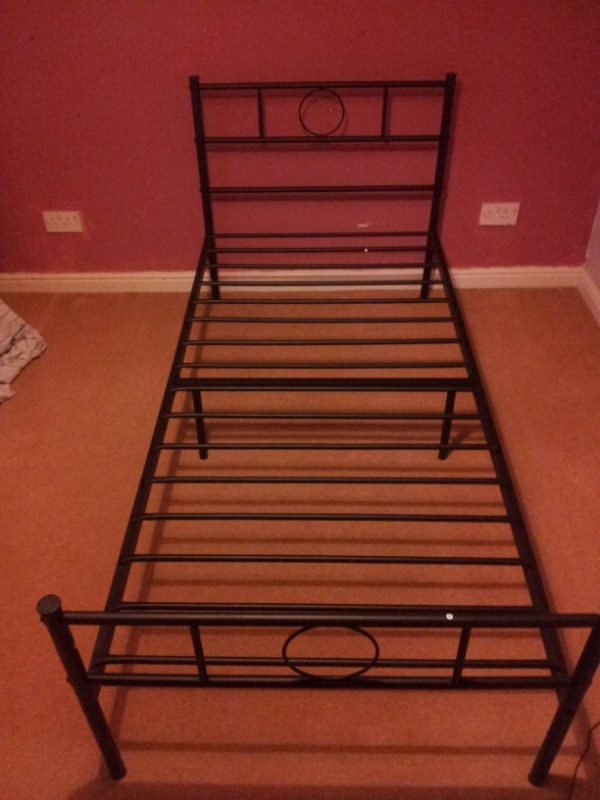 Free to collect from Folkestone area. Remember to check your spam/junk folder and the Freegle Online Chat for replies - please don't just assume all of them will come to your inbox. Have you tried our Mobile App - search for Freegle in your App Store. Remember to check your spam/junk folder and the Freegle Online Chat for replies - please don't just assume all of them will come to your inbox. 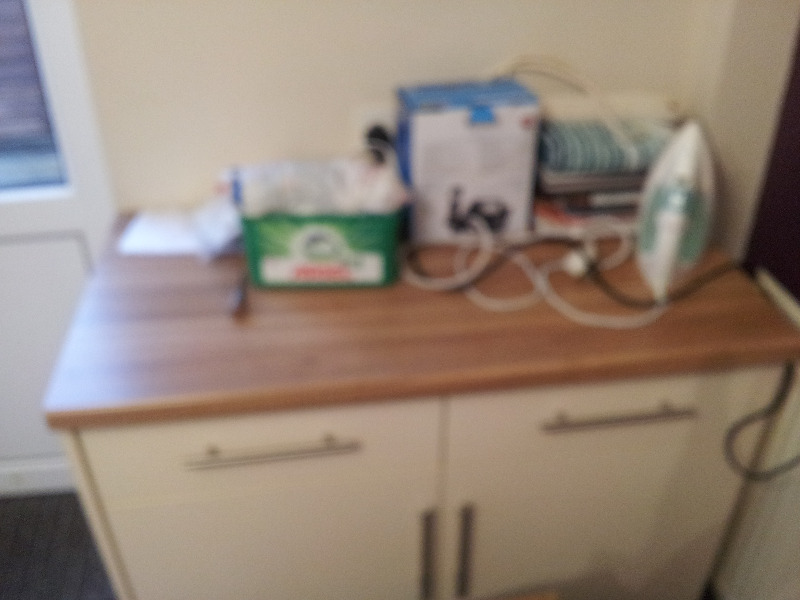 Have you tried our Mobile App - search for Freegle in your App Store.Zanussi Under Counter Fridge. 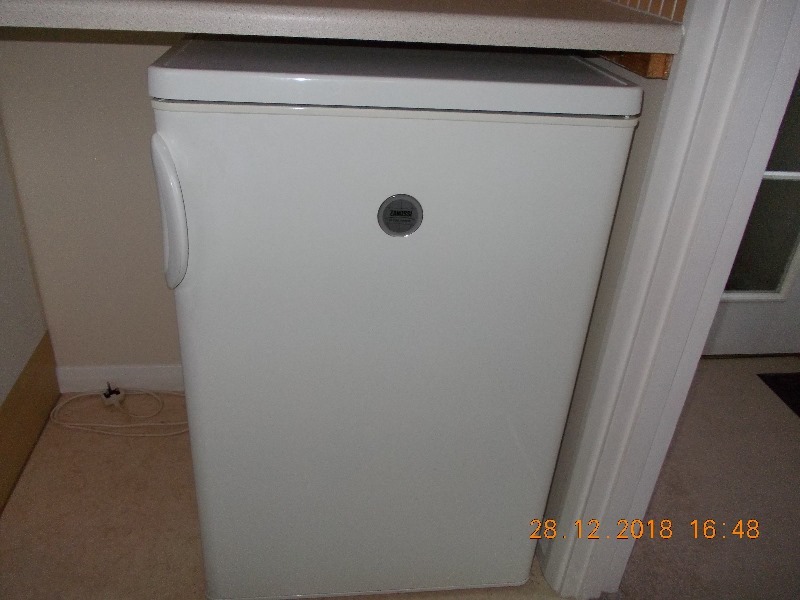 with ice/freezer compartment, in good working order.& in clean condition. 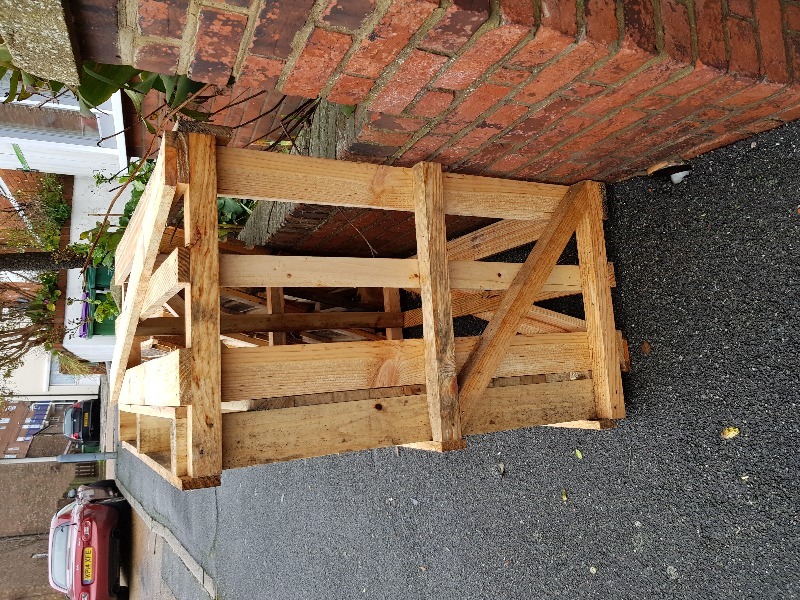 Free to collect from Folkestone. 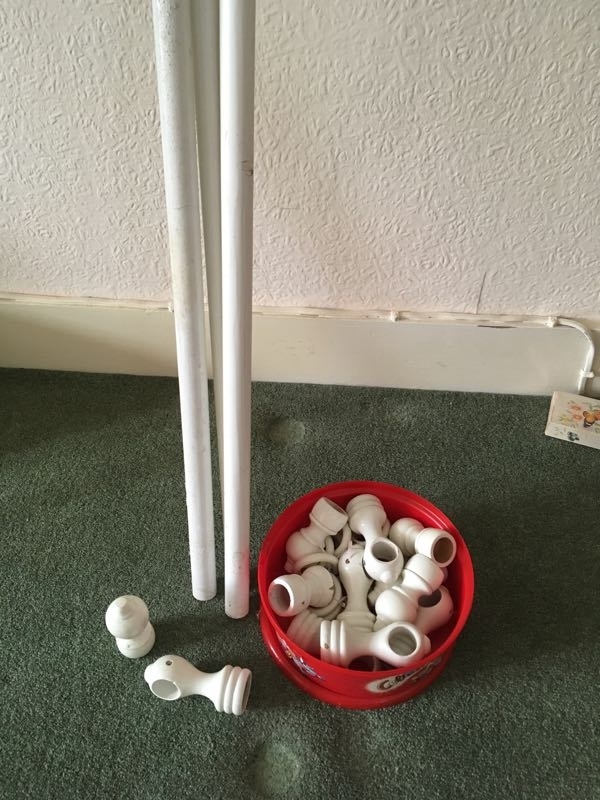 Floor standing lamp required,( for use when making puzzles on these dark days), If you have one going spare, we would be very pleased to hear from you, many thanks. 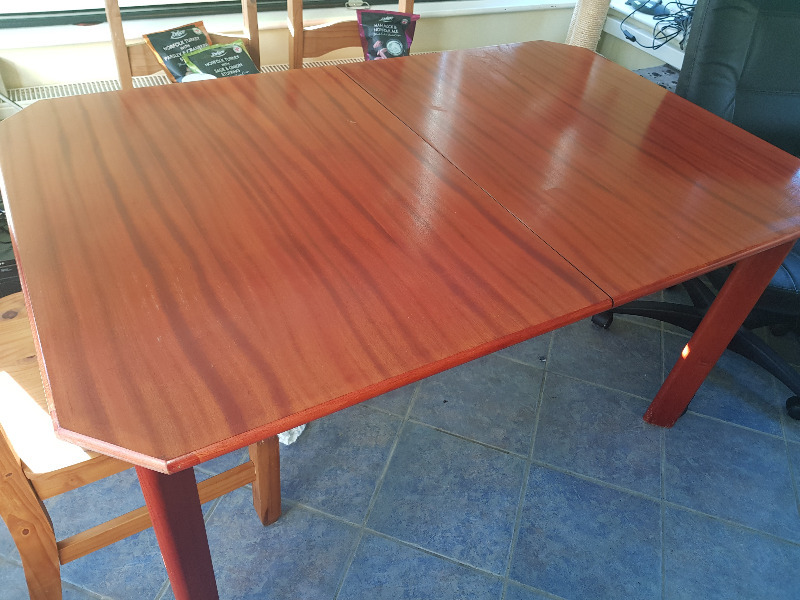 Dining table being re-offered. seats 6 and extends to 8. see picture. 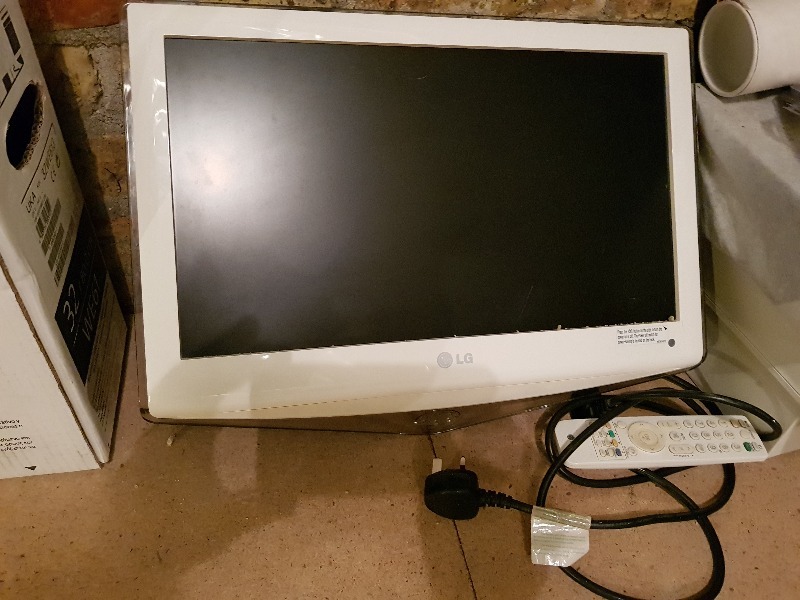 LG 14" TV with wall mount.Fully working just a small scratch on the screen. 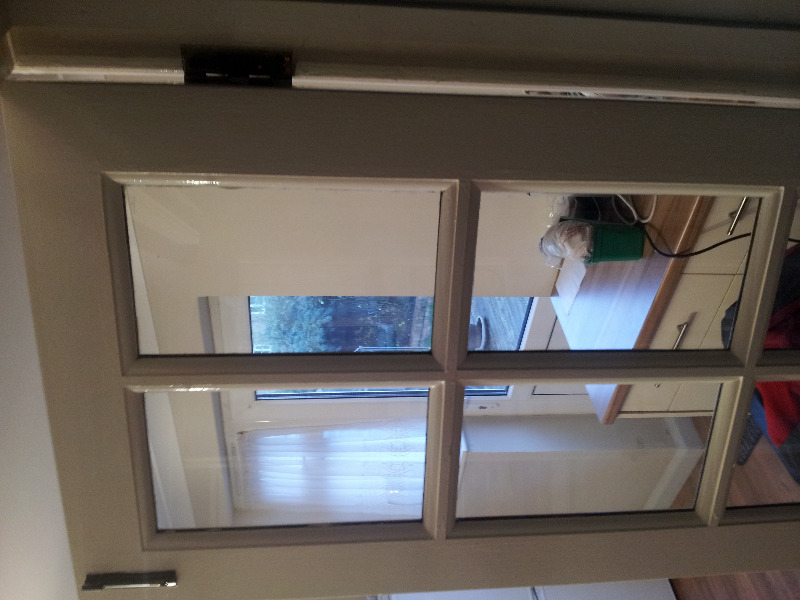 I have three replacement blind cords suitable for roller or roman blinds. 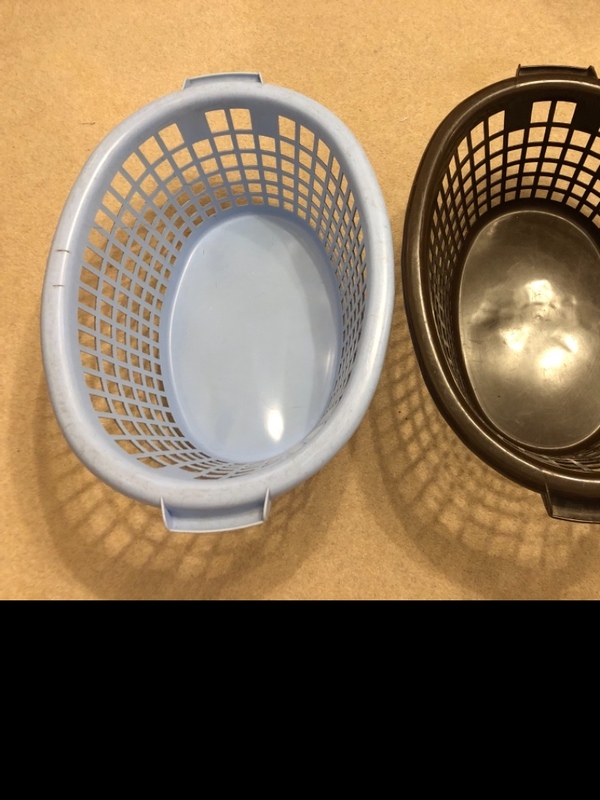 The two white plastic ones are loops of 200cm. The metal one is a loop of 158cm. 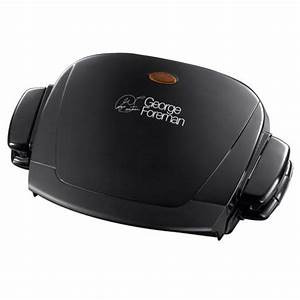 This one has a cord guide. These are all in good condition. 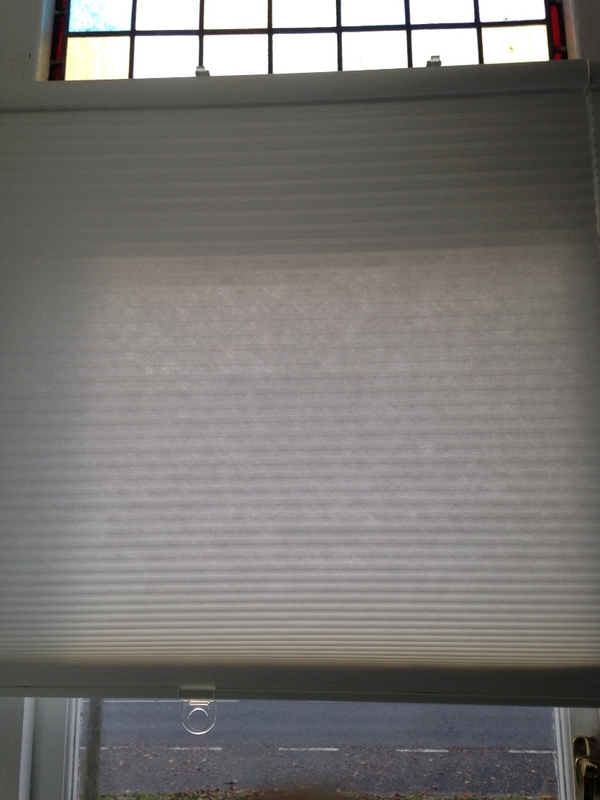 They were just too short for our very long blinds. Happy to give away one or all. 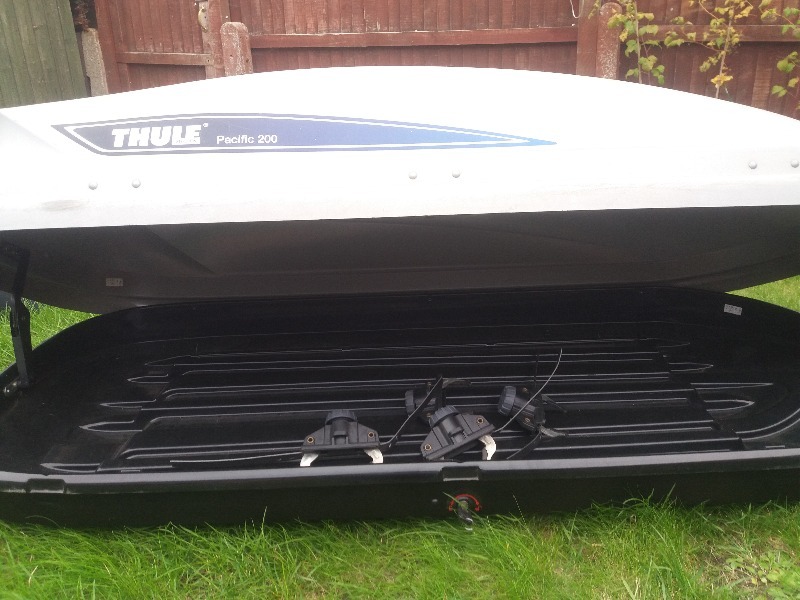 well used double bike trailer, fits two children and a large picnic! kids trampoline with handle, well loved but still life left in it. Posting for a pal. Tracheotomy medical supplies no longer needed. Maybe very useful to someone and will only go in a landfill if not taken - full list in image. Please email with phone number and when this wk-end you can collect from Hawkinge. I have two sets of white cotton Ikea curtains like these: https://www.ikea.com/gb/en/products/textiles-rugs/curtains-blinds/lenda-curtains-with-tie-backs-1-pair-white-art-30111978/ I have washed and ironed them and they look fine. They are probably about 2 years old. The previous owner sewed up the long tabs at the top - so they now slide onto a pole or curtain rail and you can't see the tabs. But it would be easy to unpick them to reverse that. One of the curtains was longer than the others and has a deeper hem to compensate. But these are all very long and you could easily re-hem all of them to make them even. 20x10 large workshop. 1 yr old cost 1k to buy, no longer required. Some damage to roof from neighbours tree but otherwise great condition. 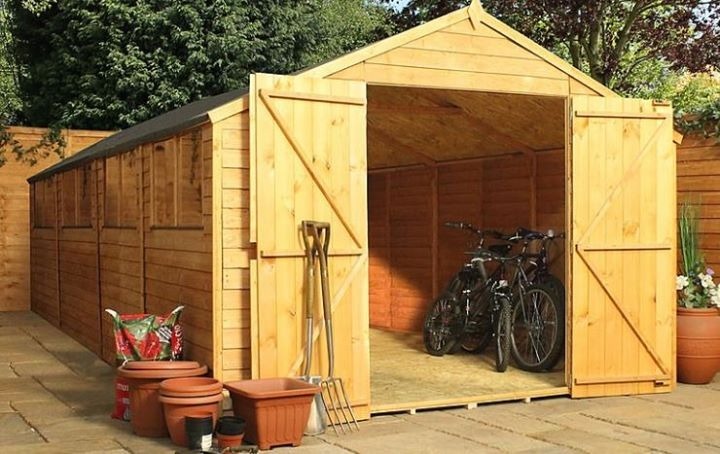 You would have to dismantle it and transport it yourself without damaging my garden etc. but free to good home. Contact me for further deets. You would need to dismantle and have a vehicle large enough to transport. Needs removing asap. Has been painted with green wood preserver since it was erected. Please contact me with phone number and time you could come. Remember to check your spam/junk folder and the Freegle Online Chat for replies - please don't just assume all of them will come to your inbox. Have you tried our Mobile App - search for Freegle in your App Store. 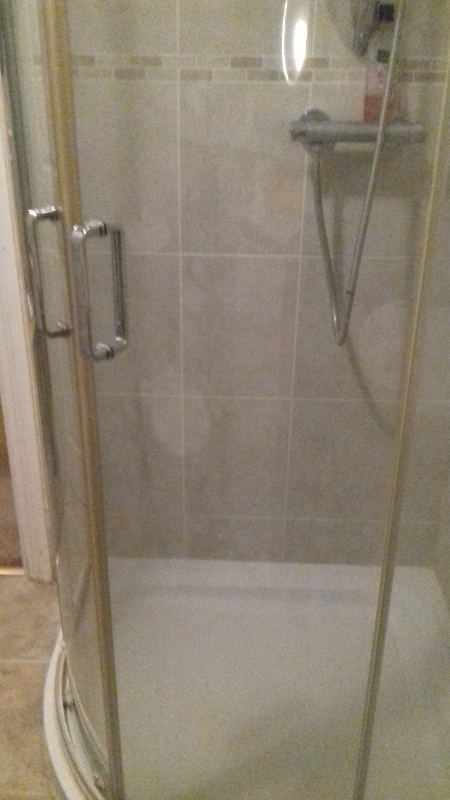 We are in need of a 1000mm kitchen base unit, (preferably with a drawer but not essential) to make a sink unit for a disabled friend. 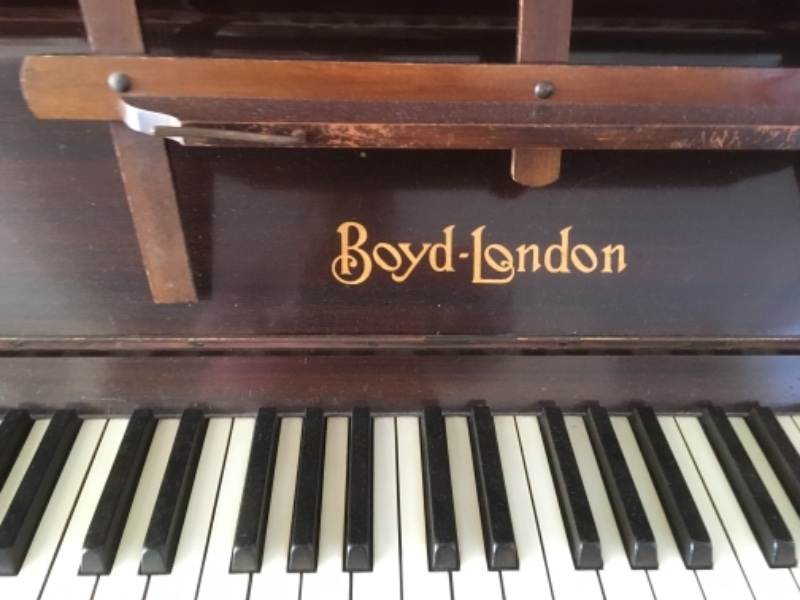 Must be in good condition, please let us know if you have one to offer, thanks. Great condition, barely used, free to good home. 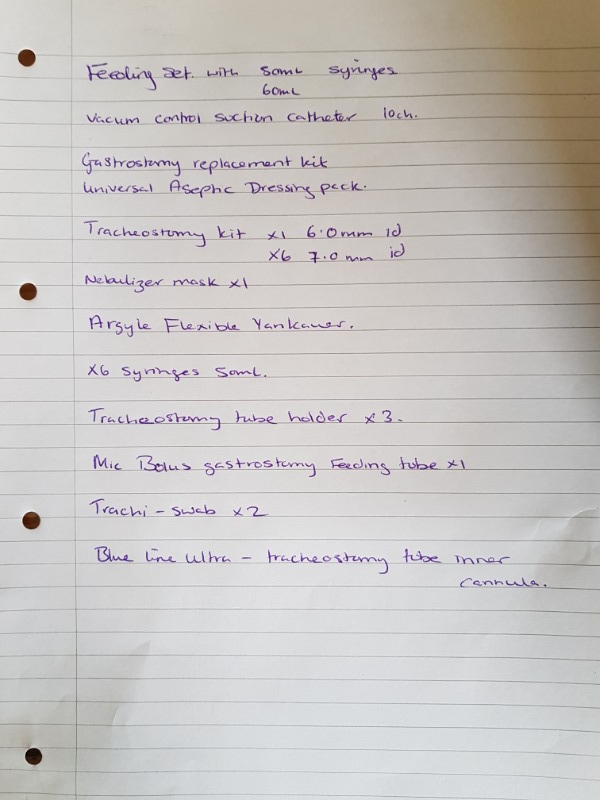 Collection asap from Hawkinge. 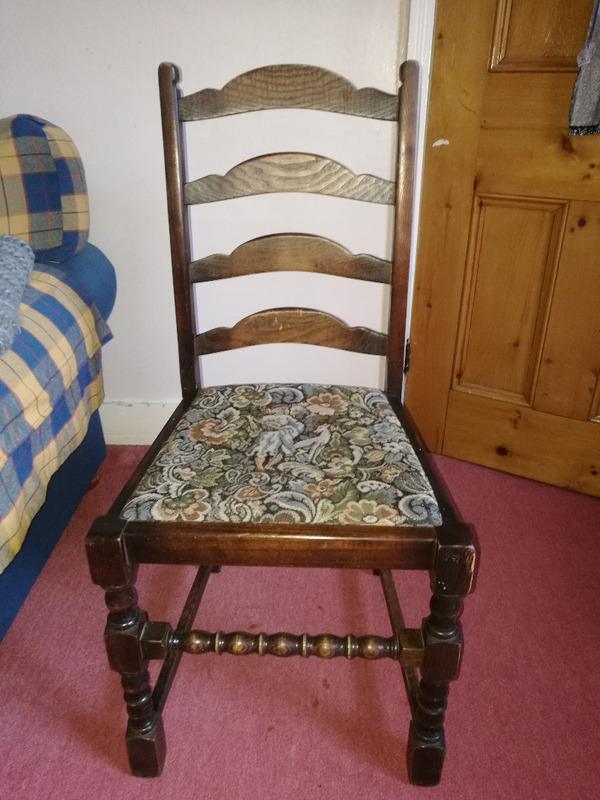 I have 4 of these Dining chairs and 2 matching Carvers in need of a good home. 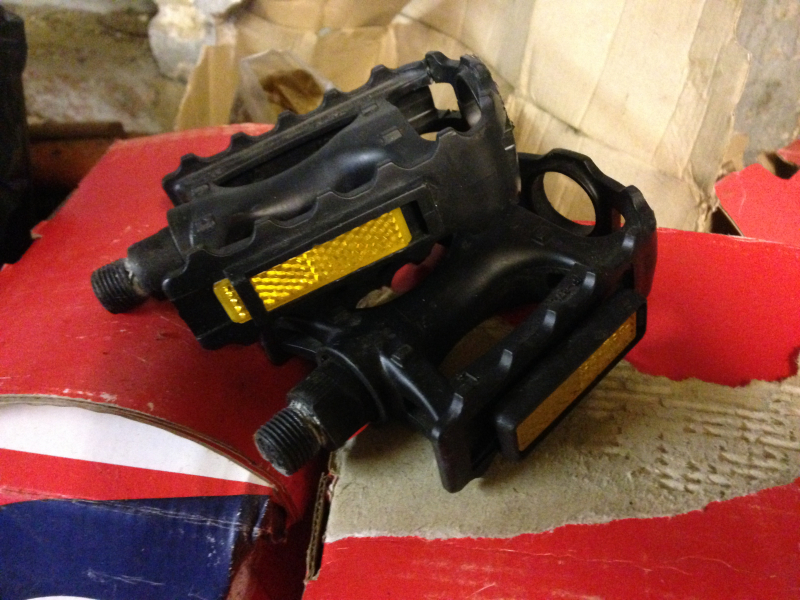 All are in a nice / used condition, sturdy; with a bit of 'tlc' they would be lovely. A bit dusty as they have been in my loft. I need all of them to go as a job lot. Fully working, no longer needed. Light and 3 speed extractor fan, powered by standard 3 pin plug on lead. Needs a bit of a clean as its been stored in the loft. Remember to check your spam/junk folder and the Freegle Online Chat for replies - please don't just assume all of them will come to your inbox. Have you tried our Mobile App - search for Freegle in your App Store. I would be grateful for some packing boxes so that we can store some stuff while we have building work done. Thank you. Remember to check your spam/junk folder and the Freegle Online Chat for replies - please don't just assume all of them will come to your inbox. Have you tried our Mobile App - search for Freegle in your App Store. I’ve recently taken up fly fishing and am looking for any thing spare, tackle, line, rods etc. It’s been recommended to me to look out for a cane or bamboo rod for when there’s a possibility of lightning as my carbon rod is a very good conductor of electricity. I doubt the cane or bamboo rod will be used as much but it sounds to me to be a good idea to have one just-in-case. Your kindness would be very much appreciated. Looking for a kind, generous person giving away a wheelchair, Please. Pics helpful. Must, fit in the boot of a 2017 Mazda 3. Thank you. Looking for a kind, generous person giving away a wheelchair, Please. Must, fit in the boot of a Mazda 3. Thank you. 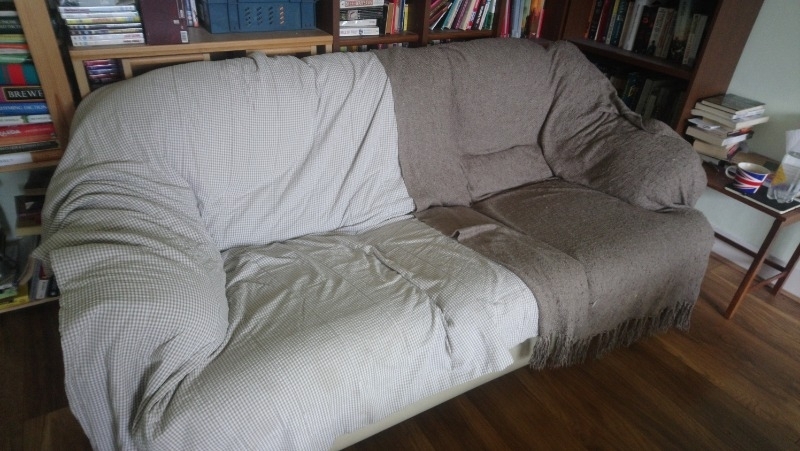 A large, squishy, comfy 3 seater sofa. A little saggy, but still very comfy. Needs to be covered with a throw - those in pic not included. Just seeing if it would do anyone a turn before we get rid... We are near the West station. Remember to check your spam/junk folder and the Freegle Online Chat for replies - please don't just assume all of them will come to your inbox. Have you tried our Mobile App - search for Freegle in your App Store. Hi, I’m looking for donations for a new Swap Shop at our Church's Mum and Toddler Group. We’re very low on baby boy's clothes for 0-3 mths. If anyone is having a clear out in these sizes please could you consider us having some. Would be much appreciated, thanks in advance! Remember to check your spam/junk folder and the Freegle Online Chat for replies - please don't just assume all of them will come to your inbox. Have you tried our Mobile App - search for Freegle in your App Store. 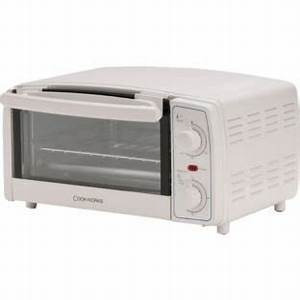 My stepdaughter is looking for a freestanding electric oven as hers has problems. 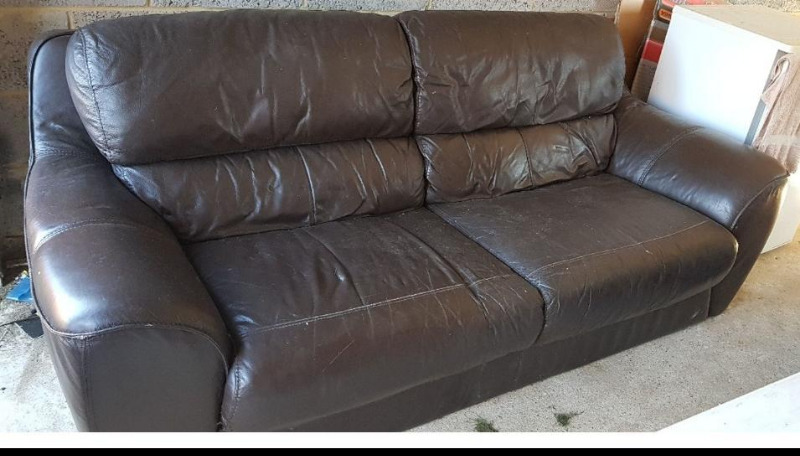 As she has a 5 year old son she is hoping that maybe someone has one to freegle. Thanks. Can pick up. Remember to check your spam/junk folder and the Freegle Online Chat for replies - please don't just assume all of them will come to your inbox. Have you tried our Mobile App - search for Freegle in your App Store. Large box of assorted flower arranging items- oasis, bowls, trays etc. To go as 1. Collect from Saltwood today or tomorrow please. If you are interested please leave a contact number & when you can collect. Remember to check your spam/junk folder and the Freegle Online Chat for replies - please don't just assume all of them will come to your inbox. Have you tried our Mobile App - search for Freegle in your App Store. Dolls wanted for an art project. any size, any condition, clothed or not. Remember to check your spam/junk folder and the Freegle Online Chat for replies - please don't just assume all of them will come to your inbox. Have you tried our Mobile App - search for Freegle in your App Store. 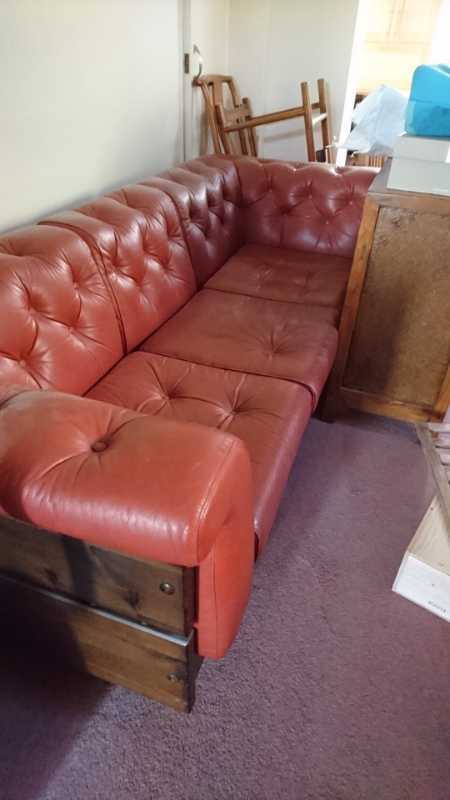 Looking for a recliner chair preferably leather for my wife. Reasonable condition please. Happy to collect, thank you. Remember to check your spam/junk folder and the Freegle Online Chat for replies - please don't just assume all of them will come to your inbox. Have you tried our Mobile App - search for Freegle in your App Store. 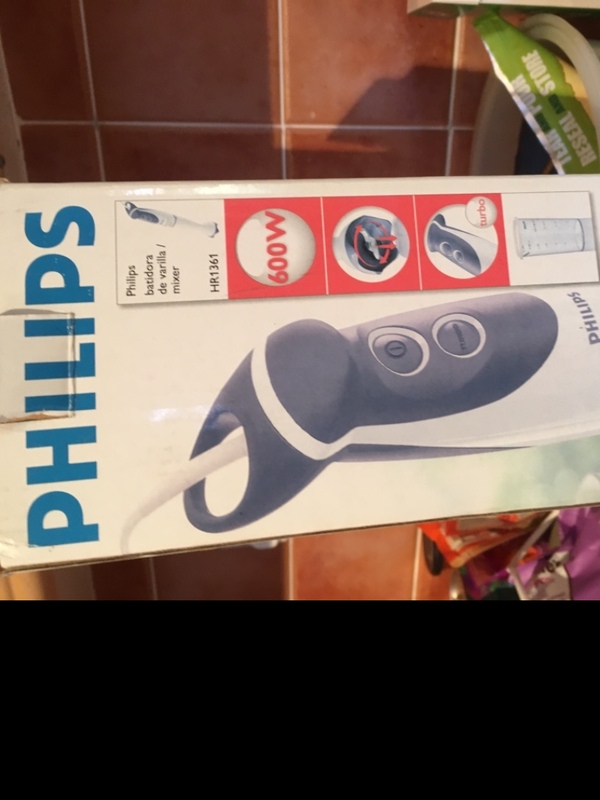 Roger Black exercise bike from Argos originally. In very good condition and I have an Instruction manual that I downloaded too. 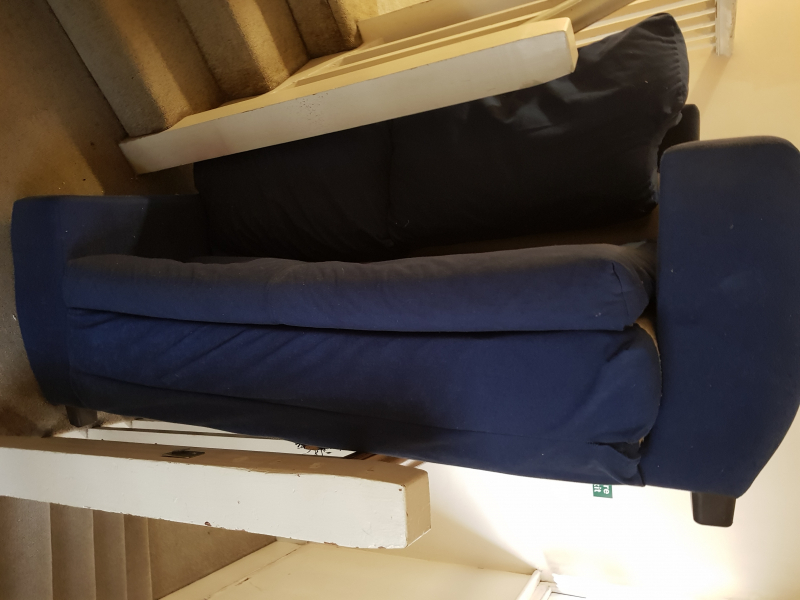 Local pick up only as its quite big so you will need either an estate car or one that the back seats will go down in order to get it in. Remember to check your spam/junk folder and the Freegle Online Chat for replies - please don't just assume all of them will come to your inbox. Have you tried our Mobile App - search for Freegle in your App Store. Large box of assorted flower arranging items- oasis, bowls, trays etc. To go as 1. 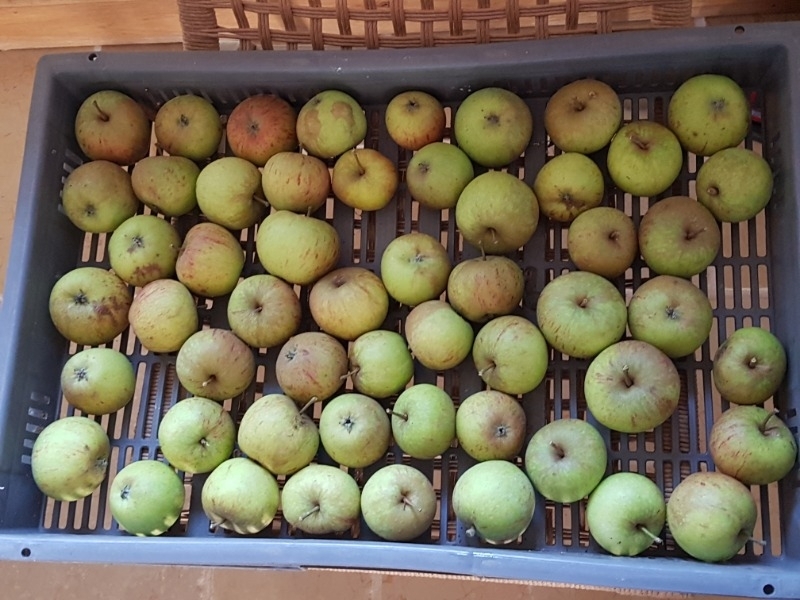 Collect from Saltwood this weekend please. If you are interested please leave a contact number & when you can collect. 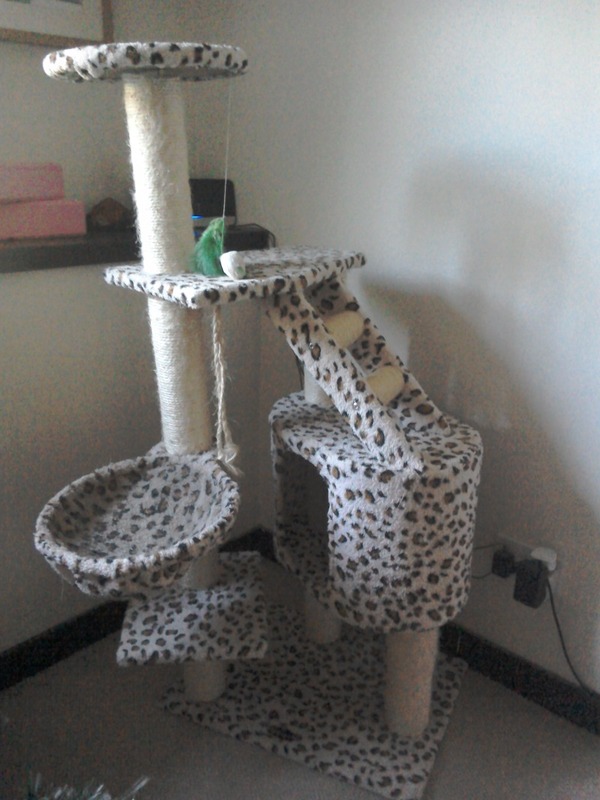 Large, leopard print cat tree. The hammock is grubby as that was where my cat slept and a couple of the posts are a little scratched up. Approximate measurements are, H122cm, W70cm, D70cm. It can come apart but I don't have the instructions to put it together again! Remember to check your spam/junk folder and the Freegle Online Chat for replies - please don't just assume all of them will come to your inbox. Have you tried our Mobile App - search for Freegle in your App Store. Large glass desk. Metal legs. Good condition. Cheriton.